Where breathtaking architecture, elegant spaces and beautiful grounds come together to make dreams come true. The perfect place for creating memories that last a lifetime, surround yourself in magic and let your story unfold. If you’ve always dreamed of a castle wedding, there’s simply no setting more divine than Peckforton Castle. Discover the perfect place to hold your special day - a stunning venue steeped in romance, history and breathtaking beauty just waiting to play host to the start of your new beginnings. Home to 48 stunning bedrooms, all individually designed and beautifully appointed, blending luxury and contemporary décor. Foray into fine dining with a most exquisite culinary experience. Holder of three AA Rosettes and the prestigious Taste Cheshire Award. 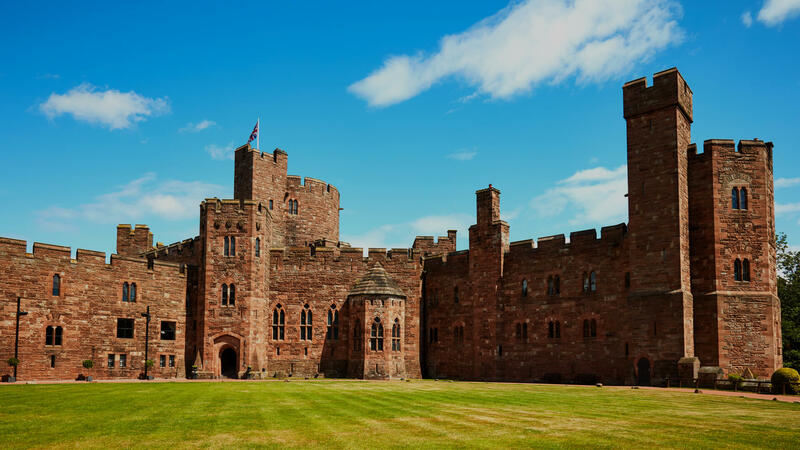 Peckforton Castle is the driving force behind the Cheshire franchise of the Land Rover Experience. Our full fleet of vehicles, located within the stunning Peckforton grounds, gives you the opportunity to try out the latest models of Defender, Range Rover, Discovery, Range Rover Sport, Evoque and Velar ‘off road’ and in the heart of the beautiful Cheshire countryside. Let Tranquility help you unwind or treat someone special with our Elemis Duo Package. This includes: A relaxing back, neck and shoulder massage followed by an Elemis taster facial and afternoon tea in our 2010 Brasserie. Full use of the spa facilities included. Flexible with dates? Then experience the enchantment of Peckforton Castle for your special day. On selected Monday to Wednesday dates in 2019 we are offering a fantastic package for 50 guests at a price of £6000.